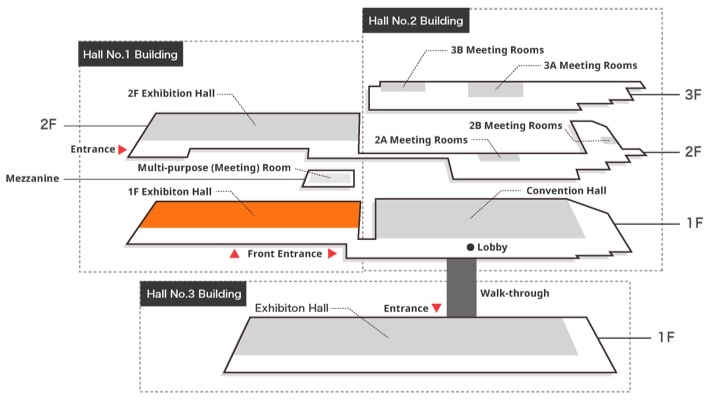 The Exhibition Hall of the Hall No.3 Building has an area of 3,800m2 and a large cargo handling space for easy carry-in/carry-out, which is appreciated by exhibitors. The use rates of Hall No.3 are set lower than those of Hall No.1 and 2, which is another attraction of this building. 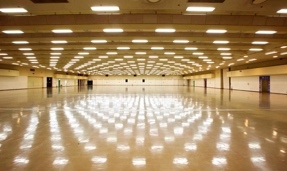 *The room capacity according to layout may vary depending on the equipment and fixtures used. 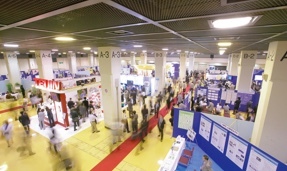 *The number of the posters of a poster session is the maximum number that can be displayed when both sides are used. *Under the Fire Prevention Regulations of the City of Kobe, you are required to secure a 2-meter-wide main evacuation passage and a 1.2-meter-wide auxiliary evacuation passage. – Can be divided into 2 rooms and the size can be changed in 4 sizes. One room is fixed at 22 m². 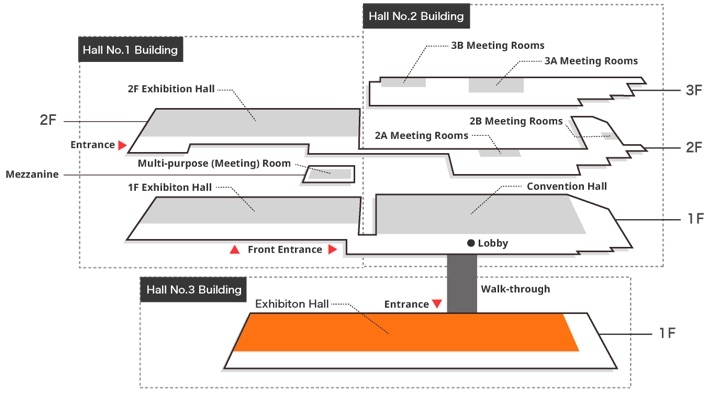 The first-floor Exhibition Hall of Hall No.1 Building has an exhibition area of 3,000m2 and is available for a variety of usage such as exhibitions and meetings. 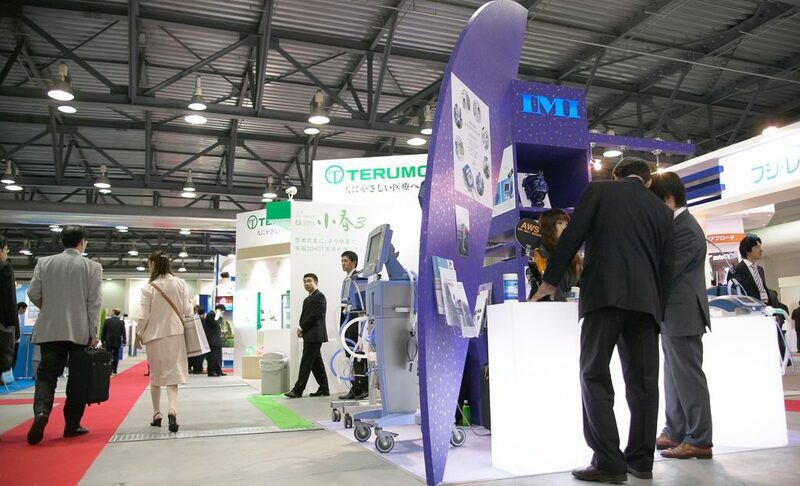 The 1F and 2F Exhibition Halls can be used jointly for an exhibition area of 6,000m2 in total for complex events such as large-scale exhibitions and related seminar programs. 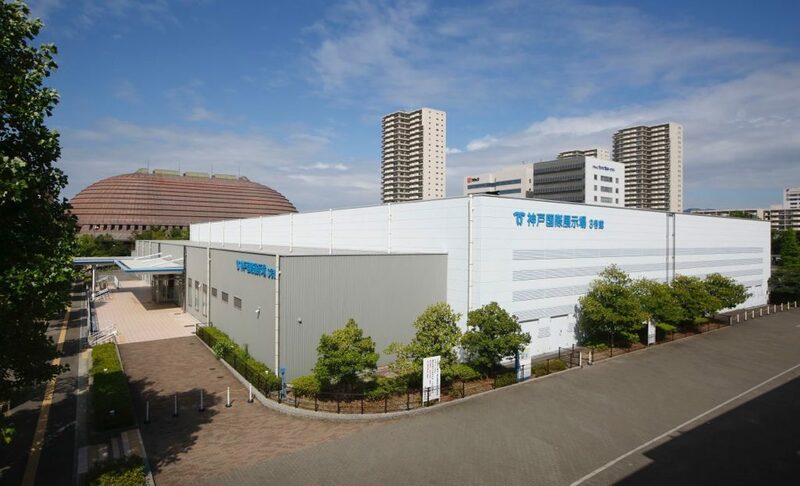 The second-floor Exhibition Hall of Hall No.1 Building is an open space of 3,000m2 with a capacity of 1,500 people in a classroom layout and 3,000 people in a theater layout. 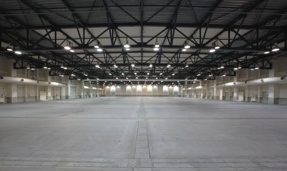 The 3,000m2 can be divided into two areas for flexible usage such as holding a party or a get-together in the adjacent room after a seminar. 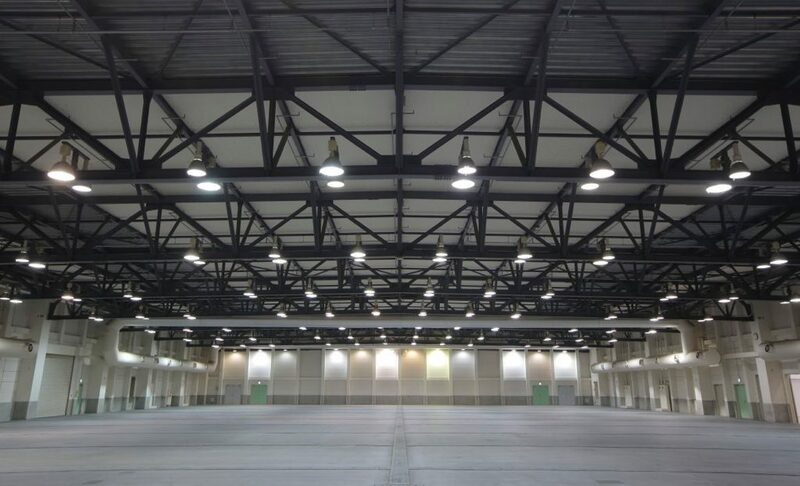 When jointly used with the 1F Exhibition Hall, a large area of 6,000m² in total can be used for exhibitions, lecture meetings, training sessions, and examinations. Our convenient location connected directly to a train station is also highly evaluated by users. 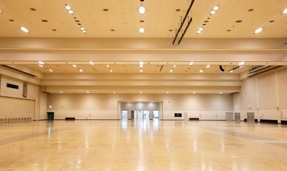 The Convention Hall with an area of 3,800m2 is available for large-scale gatherings of 4,000 people maximum, medical conferences, parties, and many other events. It is possible to divide the space into two, which makes it highly suitable for diversifying events such as a party or a get-together in the adjacent room after a seminar and many others. 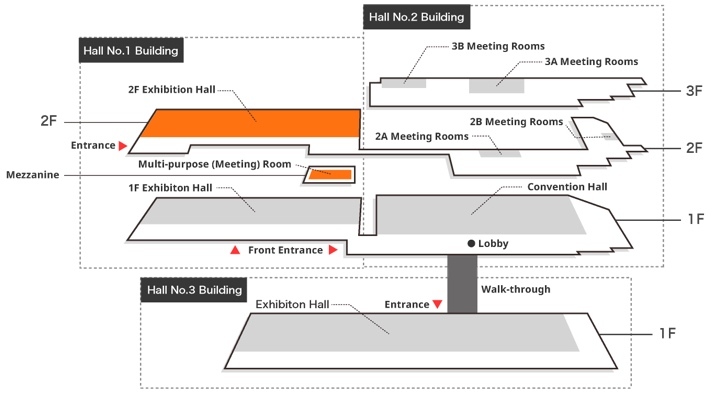 Moreover, a total of four meeting rooms, which can be used as seminar rooms, are located on the 2nd and the 3rd floors. 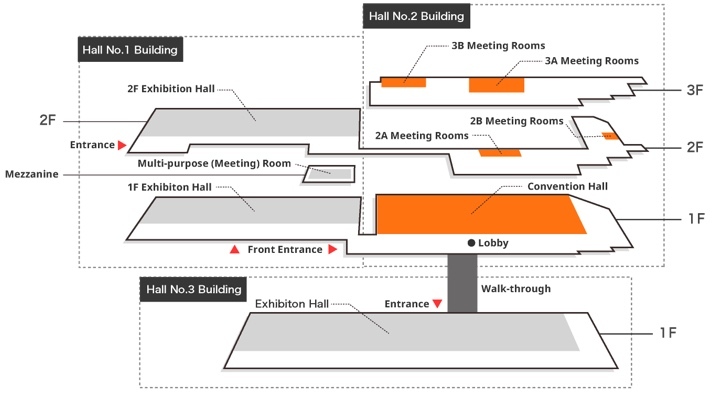 The Exhibition Hall of Hall No.3 Building has an area of 3,800m2 and a large cargo handling space for easy carry-in/carry-out, which is appreciated by exhibitors. 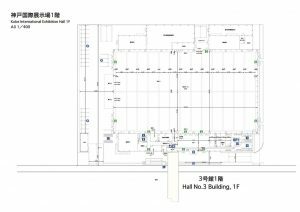 The use rates of Hall No.3 are set lower than those of Hall No.1 and No.2, which is another attraction of this building.